WELCOME HOME TO THIS CHARMING UPDATED RANCHER IN SOUGHT AFTER WESTERN BRANCH. FRESH PAINT AND BRAND NEW FLOORING THROUGHOUT, VAULTED CEILINGS IN DEN AND KITCHEN, GRANITE COUNTER TOPS, SOLID WOOD CABINETS. CERAMIC TILE IN BATHROOMS WITH CUSTOM ACCENTS. LARGE BACKYARD AND DECK ON A QUAINT WOODED LOT. FROG CAN BE USED AS 4TH BEDROOM OR LARGE PLAYROOM. THIS HOME ALSO FEATURES A HALF BATH FOR THE GUESTS, INDOOR LAUNDRY ROOM, AND A LARGE TWO CAR GARAGE. BRAND NEW DEHUMIDIFIER AND MOISTURE BARRIER IN CRAWL SPACE FOR CLEAR LETTER. CONVENIENT ACCESS TO ALL WESTERN BRANCH SCHOOLS PROVIDING A COMMUNITY SETTING. CALL TODAY FOR MORE INFO OR TO SETUP YOUR PRIVATE SHOWING! Ready to visit 4009 Terry? Request a free property tour! Send me more information about the listing at 4009 Terry, Chesapeake, VA 23321, MLS# 10240219. 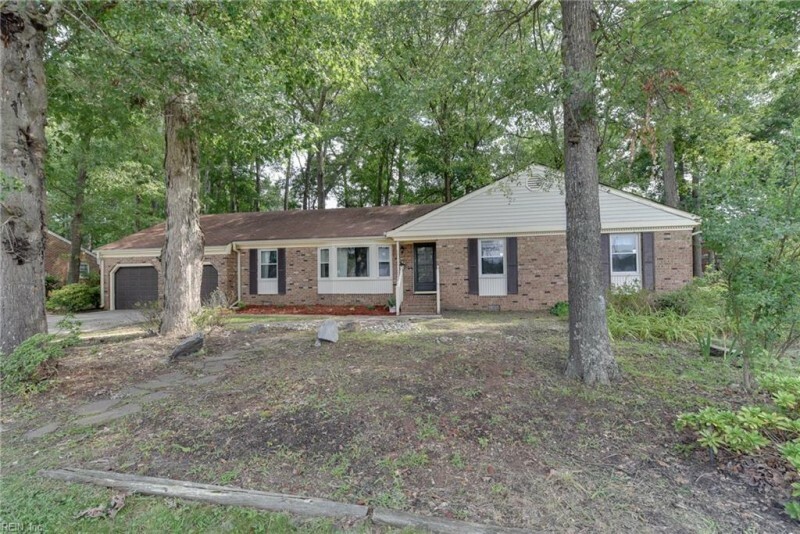 This 4 bedroom, 3 bathroom home located at 4009 Terry, Chesapeake, VA 23321 has approximately 2,124 square feet. It is currently listed for $289,500 and has a price per sqft of $13,630. This home is currently Under Contract under the MLS#: 10240219. This listing is provided by Rose & Womble Realty Company. 4009 Terry Drive, Chesapeake was built in 1979. It has Garage Att 2 Car, 4 Space parking.The kitchen includes Dishwasher, Dryer Hookup, Microwave, Elec Range, Refrigerator, Washer Hookup. 4009 Terry is part of the Radcliffe Meadows neighborhood located in 23321.